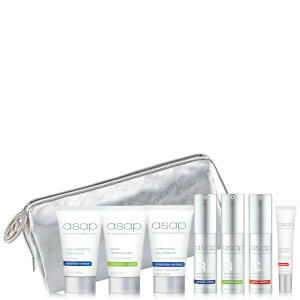 Achieve radiant and clear skin with the Super B complex serum from asap. Infused with a powerful blend of vitamin B3 (Niacinamide), B5 and B9 to boost collagen production whilst reducing pigmentation, can and scarring. With high levels of AHA and active ingredients including Resveratrol, that significantly boost skin hydration, the serum helps to regulate sebum production, improve skin tone whilst visibly reducing the appearance of fine lines and wrinkles. After cleansing, apply a few pumps to clean, dry skin and allow to absorb before applying moisturiser. May also be applied in the evening after cleansing and before applying moisturiser. The product feels slightly sticky on the skin. It also has a strange smell,which you do get used to after a while. I think using the radiance serum is enough, don’t really rate this product as I haven’t noticed any difference in my skin. 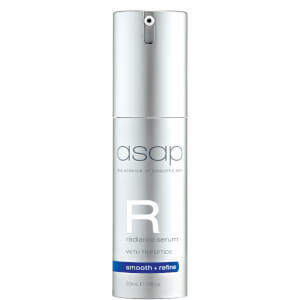 This Asap Super B serum has honestly transformed my skin! I have dry skin and used to get dry lumps around my jaw line to which I thought was due to congestion. But no it was due to dry skin. This serum has reduced my sunspots, evened out my complexion and most importantly turned my skin into soft bump free skin! 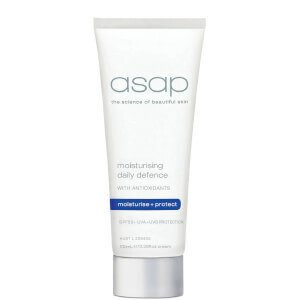 I love it and cannot recommend the ASAP products enough, they actually work! Was excited when the product arrived. Unfortunately , this product is burning my skin. My skin is red and it stings. Will not be using this product again. Such a little goes a long way. Glides on and absorbs, no residue. Perfect for am and pm use, easy to apply moisturiser on top. Terrific product. I love Super B Complex, it brightens and rejuvenates my skin. I have very sensitive skin and this product doesn't irritate it at all. After only one night of use - I woke the next morning with a burning sense all over my face. It lasted 3 days and was unsightly and uncomfortable. 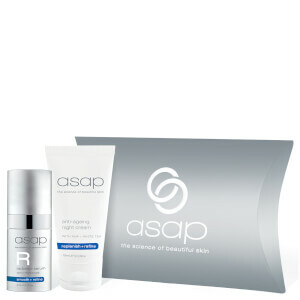 Love the ASAP range, I have oily skin and found this range helped my skin calmed down. Added B serum to my routinue and love it.